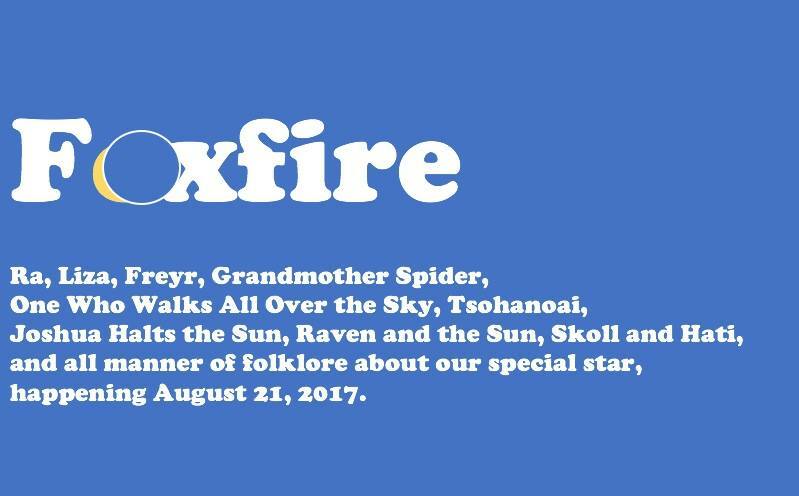 As a special program at Foxfire, we will be hosting a day of eclipse and solar folklore, games, and tours. The northern half of Rabun County will be right on the path of this year's total lunar eclipse and we're opening our doors for 100 people to come ride this one out with us. For $10/person, you'll get admission to the museum, a pair of solar glasses, and be able to tour around the grounds and interact with Foxfire staff to learn more about our great Southern Appalachian Heritage. We will also have special, limited-edition tshirts for sale to commemorate the day. Rabun County is expecting some 40,000 people over the course of the weekend and through Tuesday to experience this phenomenon, so be prepared to deal with traffic. We suggest packing lots of water, snacks, and whatrever else you may need to make the journey and expect delays. As AWESOME as that sounds, we do think this will be a really great event and a once-in-a-lifetime experience. We look forward to seeing you at Foxfire!